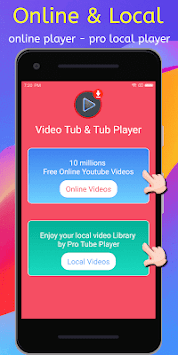 Video Tube & Tube Player Pro enables you watch unlimited YouTube videos in floating mode when you do other things and give you a professional local movie video player for all formats. You can create different playlists and enjoy loop playback. You can enjoy HD High Quality and Low Quality, (Low data usage). 1. You can move you Float Video player to every place in the screen. 2. You can set auto repeat once, multiple or shuffle on Playlists. 4. Search musics and videos. 5. 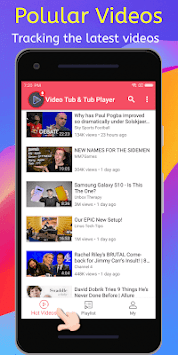 Open any YouTube URL with this App from any other App. 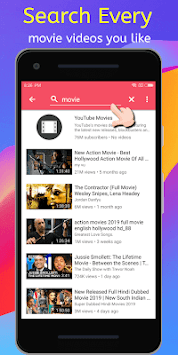 1.Google not permit application to empower foundation playing of YouTube recordings, which is an infringement of the YouTube API Terms of Service, so sorry to learn this capacity.